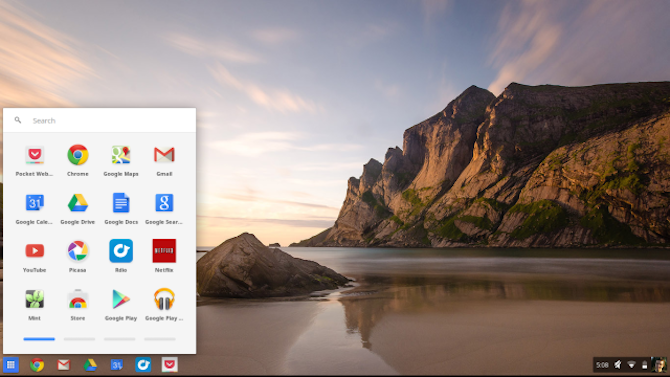 You don’t need to buy a Chromebook to enjoy the features of Google’s desktop operating system (OS). In fact, all you need is a working computer and a USB Drive. Google doesn’t officially offer a way to try it out, but developers have figured out ways for you to experiment with the open-source OS. This method works whether you are running Windows, macOS, or Linux. And no, you won’t be overwriting your existing OS. We will basically create a bootable USB drive, loaded with the Chromium OS disk image. But you will need a few things before you start. Note: The USB drive will be completely erased in the installation process. If you have any valuable data on the drive, please save it elsewhere. Google doesn’t have an official Chromium OS build that you can download. The best alternative source is Arnold The Bat. You will now have a 7-Zip file on your hard drive. Extract this file using one of the 7-Zip apps mentioned above. 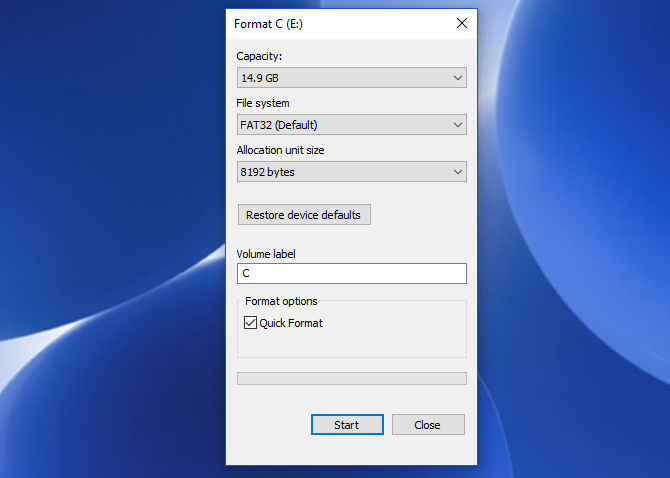 Plug the USB drive into a port and format it as FAT32. The process is simplest on Windows, but macOS and Linux aren’t difficult either. 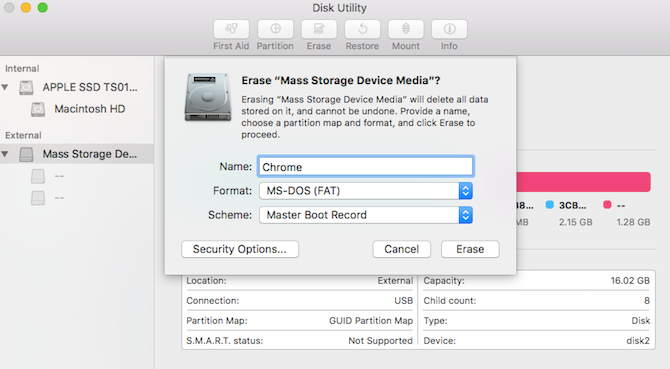 For macOS users, the built-in Disk Utility can format it as FAT32. If you see it labeled as “MS-DOS FAT” instead, don’t worry, it’s the same thing. If the Windows or Mac methods are confusing or overwhelming for you, then you can also use the SD Association’s official Card Formatter apps. For Linux users, we recommend the GParted app. If you’re comfortable with the shell / Terminal commands, use our guide on formatting external storage on Linux. For added comfort, when asked to name the new drive, give it the name “Chrome”. 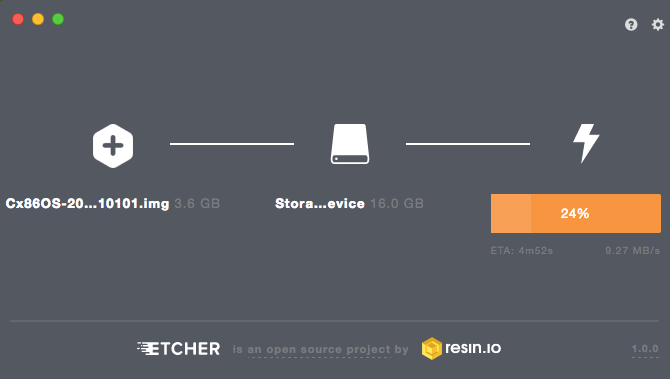 There are plenty of software tools to install images to external drives, but we reckon Etcher is the best of them. It’s cross-platform, which means it works the same way on Windows, macOS, or any Linux distro. More importantly, it validates the burning process i.e. 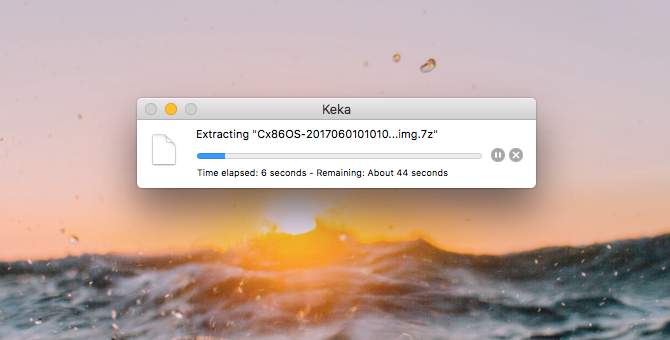 once it’s done creating the image on the USB drive, it will verify that everything is right. By now, you should have a fully formatted USB drive, named “Chrome”, plugged into one port of the computer (as shown in step three). You will also have an unzipped image file of the latest Chromium OS (as shown in steps one and two). And you have Etcher installed on your computer (as shown in step four). Start Etcher. Click Select Image and browse to where the Chromium OS image file is. Add it in Etcher. Click Select Drive and choose the Chrome USB Drive you have created. Click Flash to begin the process of installing the image and validating the installation. Once Etcher finishes, this will be a bootable USB drive with Chromium OS. “Boot” is the process of choosing the OS. Every computer lets you select which drive it should boot the OS from, whether it’s a hard drive, a USB drive, or even a DVD drive. For a Windows or Linux PC: Different computers have different BIOS settings. Usually, the Boot Options menu has the keyboard shortcut F5, F8, or F12. If you’re unsure, you can enter the BIOS settings of your PC. For a Mac: As soon the Mac shuts down and restarts, press and hold the Option key. You will be doing this while it’s a black screen, but that’s okay. 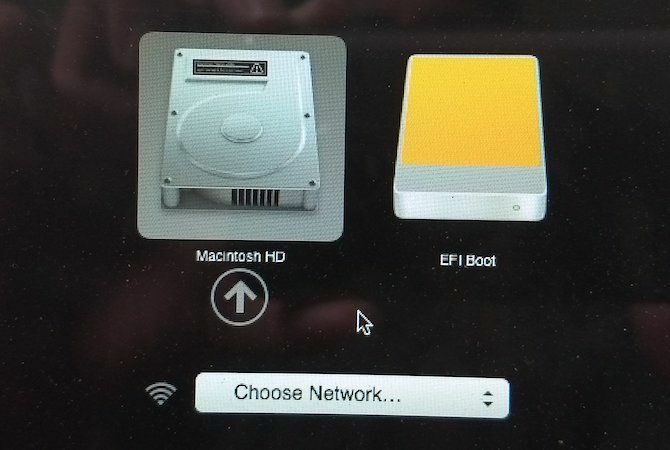 Keep holding it till you see the boot menu, which lets you choose between a Macintosh hard drive or the USB drive you have plugged in (usually denoted as “EFI”). Choose the USB drive in the boot menu, hit enter, and the computer will boot from the drive. You are now experiencing all the glory of Chrome OS, without affecting your main hard drive and OS. You won’t have any trouble, it’s simple enough that Chromebooks are ideal for elderly people or as a first computer for kids. Don’t worry, this setup is only during the first time you boot up. Whenever you run it in the future, it will go directly to the login screen. Do You Run any OS From a USB? The idea of running an operating system from a USB drive has some merit. After all, you’re basically carrying your PC with you, and are ready to turn any computer into your own. But is that convenience worth using an OS on a USB stick regularly? Do you run any operating system from a USB drive? Would you rather run Chrome OS from a computer? Originally published by Jorge Sierra on 23 November 2009.